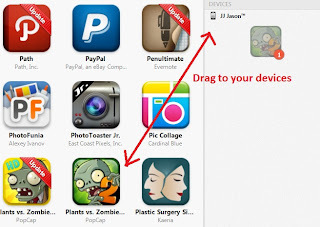 How To Get / Download Plants vs. Zombies 2 for FREE? Guess most of you or majority of you have already finish Plants vs. Zombies the 1st game. 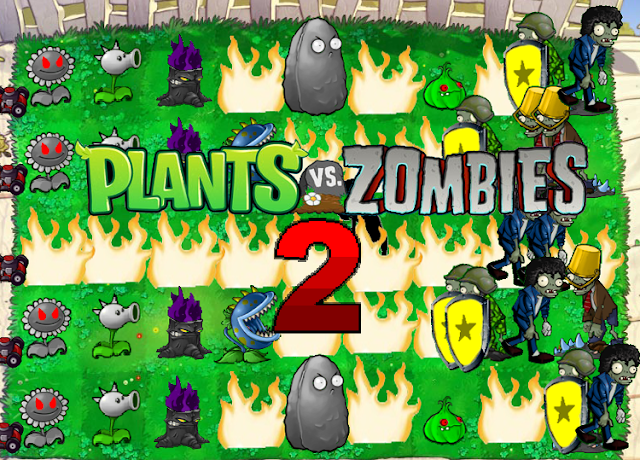 Plants vs. Zombies 2: It's About Time! After watching the video, I guess most of you can't wait to play it! The PC version is yet to be launch. But for Apple device users, you can now enjoy it for free! Let me show you how to download the game for FREE! 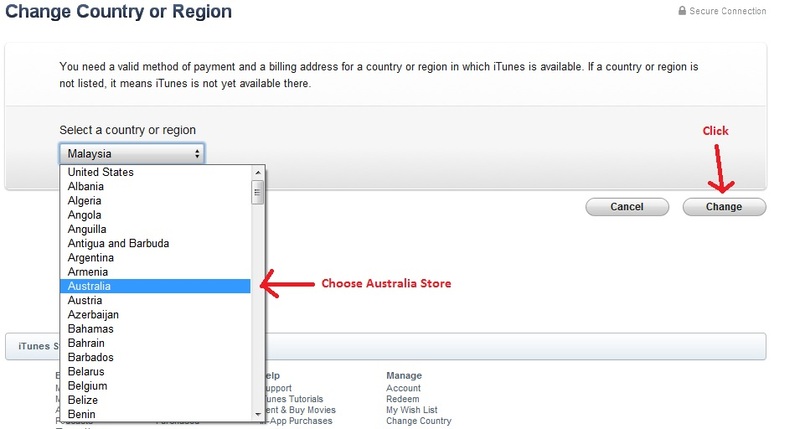 1st, Plants vs. Zombies 2 is only available for Australia Store, you need to change your iTunes account to Australia Store first. 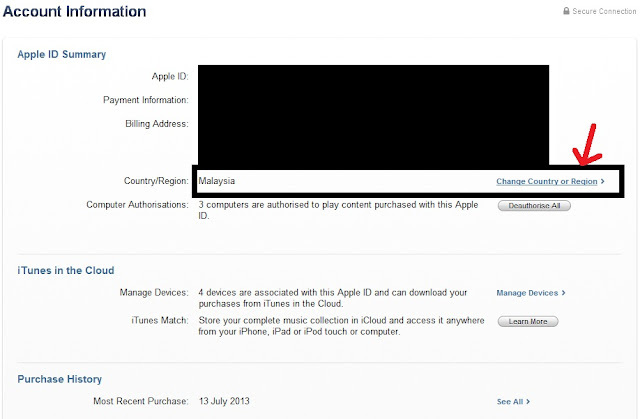 Go to iTunes, click on "Account"
Select "Australia" store and click "Change"
In your billing info, select none. Without any credit cards. 2nd, u will be asked about the billing address, you can key in whatever info, but you need to put Australia Post Code, here's a list of post code you can temporary use. Then agree with all the agreements and terms. Then, you can now see Plants vs. Zombies 2 in your iTunes Store. Search for "Plants vs. Zombies 2", then download the iPad version or iPhone version. 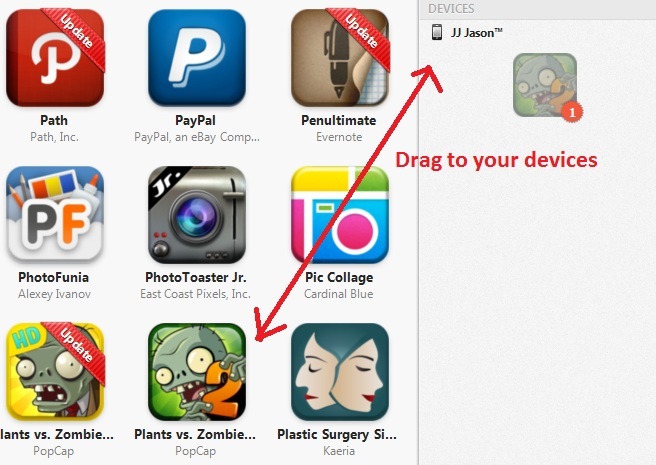 After you finished your download, you can go to your library and search for the app, then drag the app to your device. Lastly, ENJOY YOUR FREE GAME!!!!! And you can also change back to your own store, don't have to keep with Australia store anymore. It's been a while since I last had Thai food review. Wonder if any of you still remember about Wang Thai Restaurant that I blogged about last time? If you don't, here's the link for you to view back. This post will be everything about appetizer as there are too many dishes to cover. Please don't drop your saliva on keyboard ya. You have to look carefully to find this restaurant, if you turn from Nam Wah Ee Hospital, it will be on your left hand side after the traffic lights. This is the smoking seats. Thai fried prawn cakes that I had out there are usually oily and soft. Surprisingly this one is very crispy and not oily, it tasted quite good and fresh too! Totally love it! This is Thai's appetizer. First time having it, and it is nice! Want to know how to have this? Look at the next picture. 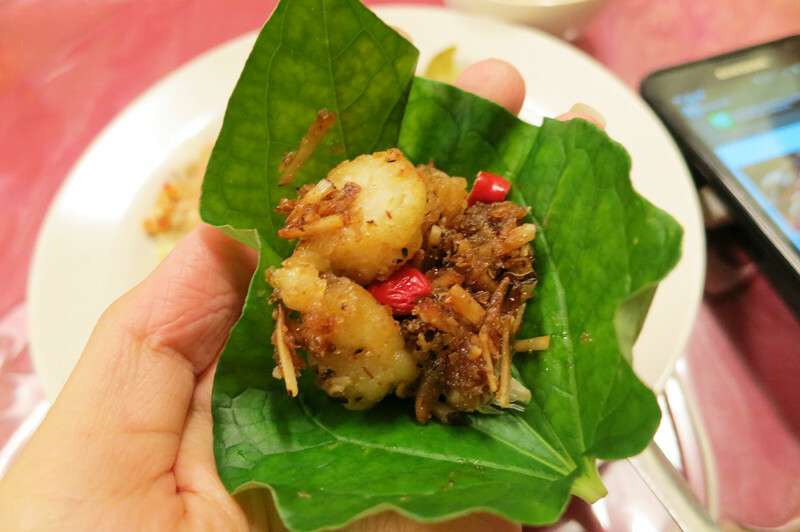 Wrap the dish with the leaf provided, then add some chilli. Eat it like a dumpling! Kerabu is always my favourite Thai appetizer and it is usually very appetizing to make a good start for Thai food. This kerabu here tasted quite good, the sourness and spiciness is just nice. One minus point for this dish is the glass noodle was all sticking together and tasted like gum. I hardly take shrimps raw, but this one looks rather good so I tasted it. The raw prawns are very chewy and appetizing when it goes with the spicy lemon sauce. Which kinda surprised me. Then they told me that this is their signature dish. These are just appetizer but it kinda surprised me already! More to come on the next post! Wanna know where is it? 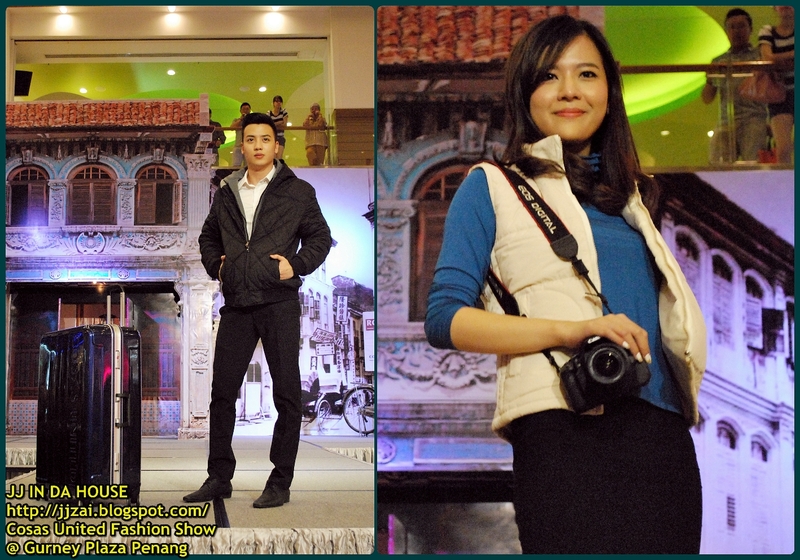 Ever wonder where to get your winter clothes if you going overseas? 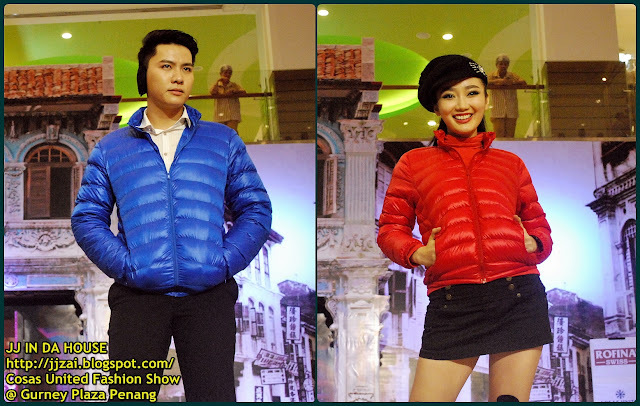 Since you are now staying in Malaysia, so winter clothing wouldn't be common as you wont be seeing them everywhere. 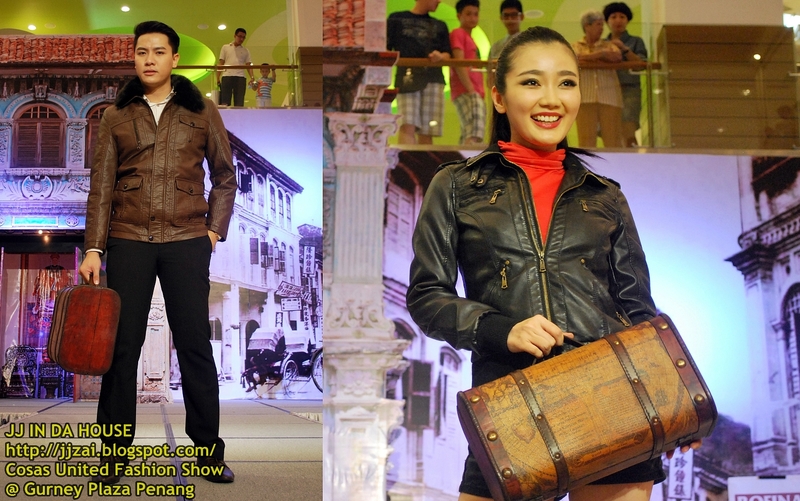 Cosas United is one of the brand in Rofina Group and I was proudly invited to attend their fashion show at Gurney Plaza weeks ago. Enough talks, I know you guys been waiting to see more clothes, luggages or models. I'm personally into the suit case, so vintage style and it is brown! Going for backpack trip alone? A big backpack is a must for you. Even if you are going for a short trip, a small luggage will be just nice for some of your belongings. Winter? No problem, you can find anything you need at any Rofina Store. Look at the red case! Isn't it elegance? You might need to bring along your camera to capture the unforgettable moments during your trip. Working trip or long holiday? Scarf is also a must if you are going to somewhere cold. 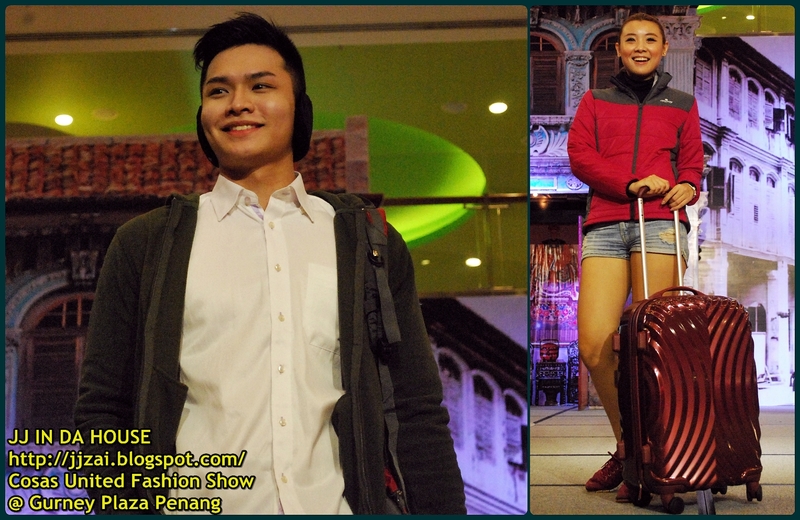 Lastly, a group picture of all models and luggages. After seeing all the winter clothing and suit cases. I'm actually considering of getting one luggage for myself. What's more? The luggages in Rofina Store is cheap and come with different colours and designs. For now you can get Cosas United items at Rofina Store located at Gurney Plaza. Good news is, they are having another individual Cosas United store in Gurney Paragon! Peugeot Club Malaysia Penang Member @ CS Euro Auto Sdn. Bhd. Good news! Peugeot Malaysia has now established a Peugeot Club Malaysia Penang Member! Any owner of Peugeot car will be able to join their membership and it is absolutely FREE! There were the 1st Peugeot Club Malaysia Penang Member day on 29th of June in Peugeot 3S Centre. There's this registering counter waiting to help you register as a Peugeot Club Member. Goodies bags are also giving out to those members that attended the launching on that day. Food were also prepared for all the members, buffet style nasi melayu with 4 dishes. Anyone that attended that day will be assisted by Chan Brother and you may get your freebies from him. Too bad that I can't even afford a car yet. Interested to join the member club? Follow the their facebook group for their next outing! If you have any enquiries, please contact CS Euro Auto Sdn Bhd. CS Euro Auto Sdn. Bhd. This will be the last post for Tang Bo Fu located at All Season Place. The yellow lights gave you a warm feeling, agree? Tang Bo Fu were also featured in Kwong Wah newspaper before, also introduced about their lovely desserts. Anything to do with pumpkin is always my favourite, although I know some people may not like pumpkin. Trust me, this dish is gonna make you feel different about pumpkin as the pumpkin sauce tasted so smooth and delicious. The portion of this dish is quite big, suits people with big appetite. The sauce and the glutinous matched perfectly, it is not too sweet nor too salty. I'm kinda in love with this dish, it is just that the portion was a little bit too small for me. This dessert is my top favourite in Tang Bo Fu! The sweet black rice goes very perfect with the coconut juice and fresh mango. It might be a little bit too sweet for those who can't take sweet stuffs, but this is a dessert, so of course it is sweet! Highly recommended! The mini rice balls are so chewy and went very smooth with the ice blended mango. The ice cream is also very special as it is coconut + mango flavour, 1st time having such flavour though. Ah ha! This is something new from Tang Bo Fu! They were usually focus on ice blended and fresh fruit stuffs, but this is something now. Ice floss is good, it is milk flavour which tasted kinda sweet and milky! I really like the cookies crumbs on top that made this dessert rather tasty! Lastly, a group picture of all of us. From left: Johnny, Chloe, Emily, John, Criz, Me and Waco. Lebuhraya Thean Teik, Bandar Baru, 11500 Penang. Have you ever met somebody that looks totally like you? If you ever see this guy named Nono, he is one of the entertainer from Taiwan. He's someone funny and entertaining, and so do I. 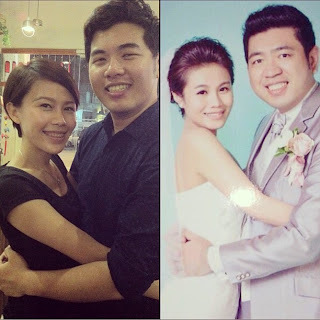 Maybe meeting someone that look like you is easy, but what if it comes to pair? Here's a picture of me and my friend, looking like Nono and his wife. This is Ann Liew and I. It is not easy to have met someone that really look alike. Peugeot now launched their 1st 3s Auto Care Center. 3s in Peugeot refers to Sales, Services and Spare Parts. This Blue Box is located at Bagan Jermal, Butterworth and it is the largest Peugeot showroom at Northern Region so far. The external look of the Blue Box, now you can see that it is the largest! Customer Relation, they are ready to serve you, hear you and solve your problems! Well, it is good to build relationship with them though. Sales Reception, found your love? Come to this counter! You just have to make a down payment and the car will be yours! Comes to second floor, filled with a small hang out place. TV with Astro, different types of magazine and coffee machine. There's also Entertainment Room for kids to play. For business people, there are also rooms for meetings. You can work there while waiting your car to be done. Their toilet is one of the best spot of this Blue Box too, it is clean, tidy, air-conditioned and comfortable! Peugeot's logo is mighty, yet elegance! Comes to the Service's part. This Peugeot Blue Box have 6 bays and 4 hoists, they can service up to 10 cars at one time, maximum up to 20 cars a day. Please take note that you will have to make appointment in advance before bringing your car for service and repair. *Except for emergency cases. Another great deal: Customers who lived in Penang Island will be entitled for a cash rebate of RM7 from the total bill to pay for your toll charges. The last S refers to the Spare parts of Peugeot, you can get your car service here and need not worry about lacking of spare parts anymore. Previously Peugeot customers shared the common problem, which is lack of spare parts and they need to order from overseas therefore required a long waiting time to repair their cars. Now this problem is solved in this Peugeot Plue Box! This is my first time doing review for automobile industry. It was a great experience too!